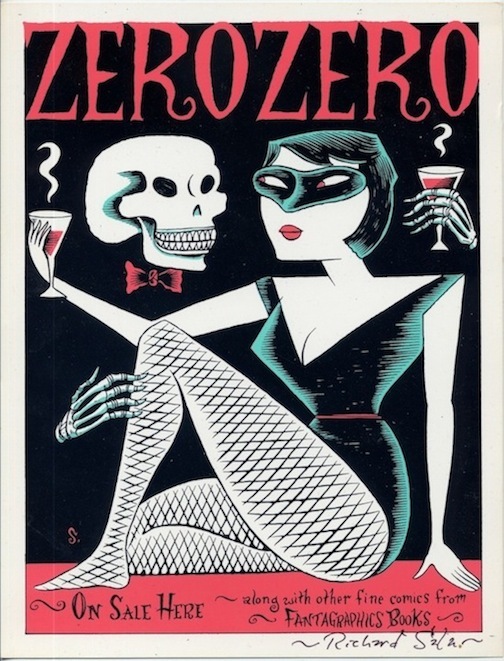 Small silkscreen poster (8 1/2" x 11") from 1995, created to promote the Fantagraphics anthology "Zero Zero"; Only 100 printed and sent to comic book stores for display. I kept about ten of them and this is my last one; Three colors on smooth cardstock. Signed (see scan).